Sheridan College is proud to have the comprehensive resources and exciting opportunities that you would expect to see at a large university, but offered in the approachable and welcoming design of a smaller school. Sheridan students have the opportunity to engage in over 475 activities during the academic year along with ample leadership opportunities. 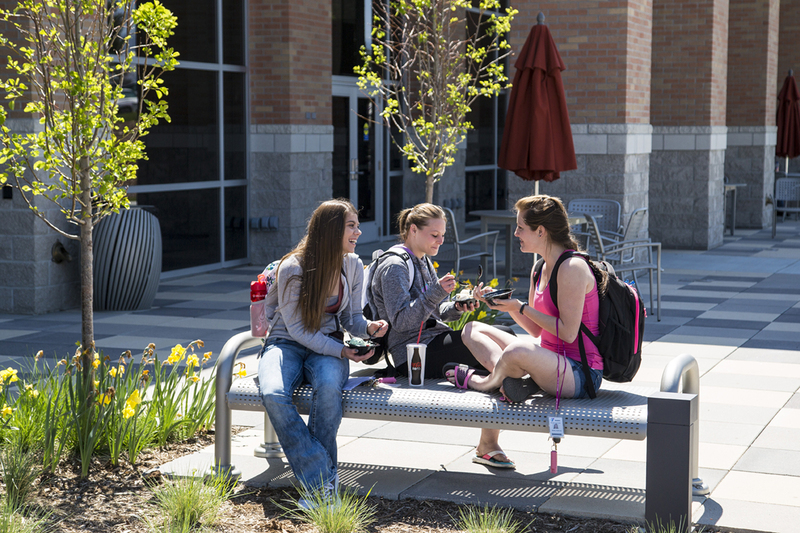 Living on campus can enhance your academic pursuits. Together, our staff and students strive to promote values of community, inquiry, integrity, and caring. There’s no better way to experience our values than to live on campus. Sheridan campus living offers resident students the support and skills to become engaged citizens and dynamic leaders while they immerse themselves in our academic programs. SC dining options abound! Check out our Thorne-Rider Campus Center (TRCC) and experience a food-court style meal. With seven different food stations offering everything from soup and salad to made-to-order Asian cuisine, the Center is the place to be during meal time. The energy on campus comes largely from a continual cycle of activities happening each and every day. Get involved in a club. Start a new club. Take in a movie. Join in a pick-up game at the Dome. All of this, and more, is waiting for you at Sheridan College. A campus is a lot more than its buildings. The city of Sheridan is located at the base of the Bighorn Mountains and has been nominated for the Best Outdoor Town in America award in both 2014 and 2015 by Outside Magazine. Participate in the Venture Outdoors program or take advantage of our outdoor gear rental opportunities. Spend time with old friends and make new ones at the Thorne-Rider Campus Center, a student-focused activity and dining center. Play a game of pool, try a slice of pizza made fresh in a brick pizza oven, lounge on couches, or pass time between classes in the activities lounge. At Sheridan College, we make it easy for you to engage – with your instructors, fellow students, and the community. Join the Generals. Whether you like to cheer from the front row of the stands or be front and center on the basketball court, the Sheridan College Generals want you. Our basketball and volleyball teams play in our custom on-campus stadium – the Golden Dome. Learn more about sports at Sheridan College.